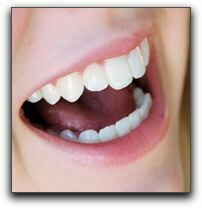 Home » Blog » Your Charlotte Dentist Asks: Do You Have A Tooth-Healthy Diet? Maintaining healthy teeth for patients is an important concern of the Steele Creek Dentist in Charlotte. We want to help you take care of your teeth, so they remain healthy. Maintaining healthy teeth requires a cleaning regimen that includes thorough brushing and flossing twice per day. Regular visits to our office is another essential component. A healthy diet is also good for your teeth. A diet that includes foods that help your muscles and bones also helps you develop healthy gums and teeth. We recommend foods that are rich in vitamin B, such as breads and cereals. Foods rich in vitamin C, usually fruits and vegetables, help improve the health of your gums. Zinc and magnesium are also good for the health of your teeth and are found in foods like lean beef, fish, and poultry. Saliva is vital to healthy teeth because it assists in maintaining the pH balance in your mouth. Foods high in fiber also encourage saliva production, as does the chewing of sugar-free gum. Gum, however, can damage unhealthy teeth or pull out dental fillings, so always use caution! Here’s something you probably know, but it always bears repeating. Food and drinks that are high in sugars are more likely to form the acids that attack your teeth and result in decay. Soda and energy drinks are among the big culprits, along with candy. Limiting your consumption of sugar lessens the amount of time your healthy teeth are exposed. Making good diet choices and cutting back on sugar consumption can improve the health of your teeth and gums. If you would like to learn how to better care for your healthy teeth in the Carlotte area, contact The Steele Creek Dentist for a checkup and cleaning. We also provide general and cosmetic dentistry, and other services.